Could Hawthorne in Destiny 2 be the Exo-Stranger? As Destiny 2 spins up with the pre-order beta this week, Guardians are scrambling to piece together as much information about the game as they can. Of particular interest is something found in the description of the Collector’s Edition regarding Hawthorne, a character that some speculate could be the Exo-Stranger that fascinated players in the original Destiny. While it is possible that Hawthorne is a completely new character in Destiny 2 that we’ve never seen before, it’s also not beyond the realm of possibility that Hawthorne is indeed the Exo-Stranger. Hawthorne, like the Exo-Stranger, is a woman. We also know that the Exo-Stranger, while familiar with Guardians and the Light, is not a Guardian themselves and, as they state after the Guardian defeats a group of Vex on Venus, they were not “forged in the Light.” This also seems to fit with the description on the Collector’s Edition, as we know that Hawthorne was born in the City, which would explain being familiar with Guardians and Light. And, like the Exo-Stranger, Hawthorne has survived outside of the City and without Guardian protection. Yes, it’s a stretch and much more information is required to fill in the gaps, but you must admit that it would be odd for Bungie to include a new character with so many similarities. This is especially true when you consider the huge amount of interest in the Exo-Stranger and desire for her to have a bigger role in the story. Oh, and did you know that the Exo-Stranger in Destiny is voiced by Laruen Cohan, the actor who plays Maggie on The Walking Dead? That’s cool. Update: It's unlikely that the Exo-Stranger and Hawthorne have anything to do with one another. 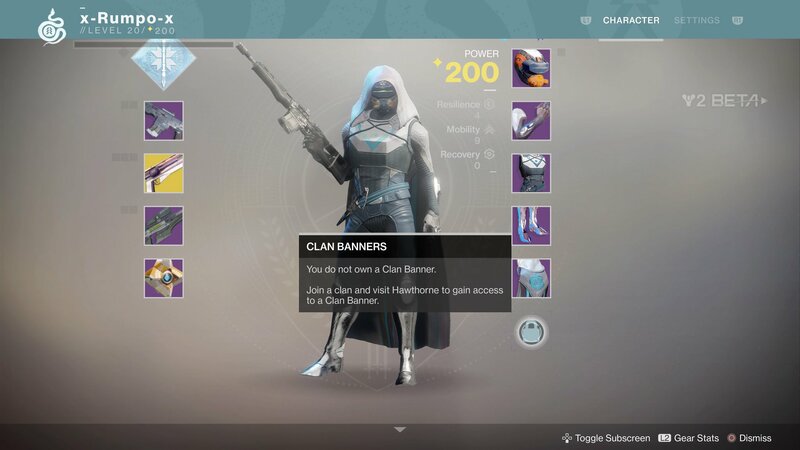 Hawthorne is listed in the Destiny 2 beta as someone you need to see regarding clans, indicating she's an NPC you might find at the Farm. On top of that, Luke Smith told PC Gamer that Bungie felt they had tied off the Exo-Stranger's story already, which is pretty crazy if you ask me. He also said they had no clue what the Darkness was in Destiny, so who knows where things go on those two fronts. Read up on how to download the Destiny 2 beta, and various start times for the Destiny 2 beta.